Fleet management software has been an industry staple for years, helping fleets save time and money, and understand their drivers and vehicles better than ever before. But this software is still half-baked—there are plenty of improvements that can be made to better suit fleet businesses. That’s what Skypatrol will discuss here—ways that fleet management software is making great strides. Simple technical changes, ideological advancements, and more stable and functional technology will make for an overall better product for fleet businesses—allowing for both fleets and businesses, like Skypatrol, to grow in tandem. At this point in the fleet management world, tracking the location of your fleet vehicles just isn’t enough. You need features and functions that provide you with more insights, more capabilities, and most importantly, improved business operations. 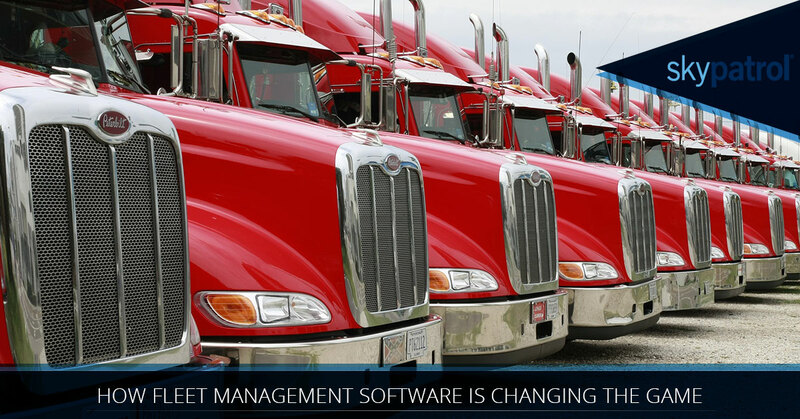 Year over year, fleet management software begins to meet these business needs, allowing fleet managers to track and analyze more aspects of their business, integrate multiple software platforms, and have more power over how their fleet is run on a day-to-day basis. The most successful businesses on the planet, in any industry, have proactive leaders. There’s a huge difference between the businesses that react to problems that occur and the businesses that have enough foresight to avoid problems before they happen. That’s the power of fleet management software—by creating an archive of maintenance logs, vehicle diagnostics, driver behavior and routes, and a bevy of other data, you document the past in order to empower your business in the future. Let’s use a small limousine fleet as an example. Limousines are the epitome of four-wheeled luxury, especially when it comes to bachelorette parties, pre-prom adventures, and cruise transfers. However, luxury is nothing without reliability—if a limo were to break down during a fun night out or on the way to a port, that ruins the whole experience for the customers inside—especially if they’re late to the prom or miss their cruise because of your mishap. With fleet management software and some critical thinking, managers have the ability to make predictive decisions on when vehicles need maintenance and repairs, which helps them build their maintenance schedules around their fleet schedules. Keeping your business and avoiding mishaps is the recipe for excellent service and increased profits—and it’s all possible because of fleet management software. Skypatrol has touched on how fleet management software can help businesses save on fuel costs. But are you aware of how important fuel efficiency will be to your business success in the coming years because of the state of oil? The International Energy Agency predicts that the global crude oil surplus will disappear sometime in mid-2017 (so, basically right now), as long as OPEC and its partners continue with their agreement to cut down on production. Less oil combined with the same amount of fleet businesses and oil users? That’s a guarantee for increased prices at the gas pump. Fuel efficiency will cut deeper into your business expenses than ever before—so understanding when are where you can save on fuel is crucial. That’s where fleet management software can be useful—it allows you to have an understanding of which of your fleet routes are using the most fuel, and allows you to experiment and implement new route strategies that can save you time and fuel, and ultimately, money. That’s what fuels a successful business. Another topic we’ve touched on in a few blogs is safety—and the more advanced fleet management software becomes, the more safe drivers become. Fleet management software used to just be a running record of driver infractions (driving over speed limits, idling for too long, driving off route)—a way to police fleet drivers across an entire company. But now, fleet management software looks to push more toward rewarding instead of policing by bringing gamification strategies into the fold. Gamification allows drivers to have a real-time view of their driving habits, pushing them to improve their scores and drive more safely for some sort of incentive, like a bonus or extra time off. Safety improves the state of drivers, fleet vehicles, and fleet companies in general—why not make being safe more fun and rewarding? Skypatrol’s Fleet Command is a fleet management software solution for small and medium-sized fleets, helping you monitor and manage your fleet vehicles and employees from a simple and beautiful user interface. Use GPS tracking and software to improve driver behavior, shorten response times, increase safety, and save money—all of which are sure to make your fleet business grow. Don’t wait—schedule a demo of FleetCommand today.